What comes to your mind when someone asks you, which is the most popular social network platform around the world? Obviously, Facebook right? Almost every individual has a Facebook account on Earth and you'll rarely find people who don't have a Facebook account. On average, there are 2.2 billion monthly active users and each person spends around 34 minutes on Facebook. This video tutorial is presented by official Facebook and you will learn how to create ads and market them on Facebook, and also, you will also learn overview of Facebook Pages and Ads, experiment with ad targeting to reach the right audience, see how conversion tracking can help measure the impact of your Facebook Ads, and hear best practices from Facebook for Business. You can also register official course and certification here. This is a great place to get started with Facebook marketing and this is the popular video tutorial on the internet. The instructor has organized the video tutorial really well and he starts explaining the concepts from the very basics with in-depth real-world examples and then moves on to the advanced marketing techniques and tips. You will learn how to use and optimize every type of Facebook campaign, Facebook custom audience, Facebook pixel etc, and helps to improve the sales. If you're looking to learn how to take your brand, product, service, or public figure to the next level in Facebook marketing then this is the best video tutorial for you. Complete FaceBook Ads Tutorial 2019 - MASTER FaceBook Ads in 1 Hour! If you're looking for the crash course, then this is a great place to started with Facebook marketing. In this tutorial, the instructor walks you through step by step on how to master Facebook advertisements for your Facebook fan page and how you can start to generate sales. This is another best video tutorial to learn about Facebook Ads, the instructor guides you from beginning to reach the advanced level of Facebook Ads. 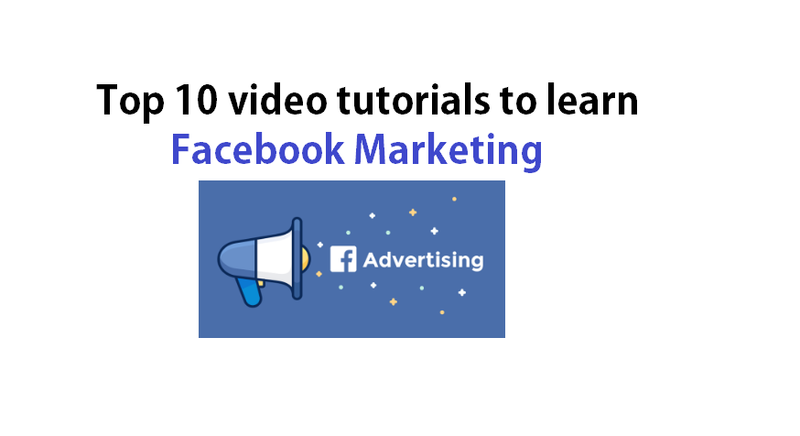 This video tutorial helps you to enhance your marketing and technical skills and helps to improve your business sales using Facebook Ads. It is a great video tutorial and its worth every penny. If you looking to master Facebook Advertising and thinking of growing your business using Facebook Marketing Strategy, Facebook Ad Retargeting or Remarketing etc,. Then this video tutorial is the best suitable for you. Though the interface which you see in this video tutorial is outdated, the concepts remain the same. The instructor keeps the video tutorial very interesting and informative and explains the concepts clear and gives some great examples to experiment with. Overall, this video tutorial helps you to enhance your skills in Facebook marketing. This is one of the best Facebook marketing and e-commerce video tutorial. In this tutorial, the instructor begins the tutorial by giving an introduction to Facebook Ads, the importance of Facebook marketing especially for small and medium business, then explains how to set up a facebook page and walks you through the Facebook business manager and ads account, setting up payments, budget limits, best practices. And finally, demonstrates with real-time examples of how to create an ad on Facebook. The instructor then moves on the advanced concepts such as Audience Insights Tool, how to research your competitors, how to create a facebook pixel and update on the website etc,. and much more. If you're looking for the designing, developing and optimizing the Facebook Messager Chatbots, then this the best place to get started with it. Here the instructor walks you through the how-to create facebook messenger ad campaigns and connect them to the MobileMonkey Chatbot. I recommend this video tutorial for anyone who is considering using Facebook Messenger as a marketing tool. If you're serious about learning Facebook ads then this is a great place to started with Facebook marketing and helps you to learn everything you need to know to go from complete beginner to advanced level. This video tutorial covers Facebook Custom audiences, how to install Facebook pixel, how to create Lookalike audiences, how to strategize an advertise, what actually sells and gives you a massive kickstart to get things with all of your Facebook marketing needs! Before getting into Google Tag Manager, let's understand what is a tag? A tag is a piece of code which are placed on the website to collect user behavior on the website and send it to third-party reporting analytics like Google Analytics and used in digital marketing. This tutorial is one of the popular tutorials to learn GTM. In this tutorial, the instructor begins with explaining the basic fundamentals of tag managers, how to sign up for Google Tag Manager and then walks you through the GTM interface, then shows how to integrate Google Analytics and Google Tag Manager, setting up the tracking external link and button tracking in GTM and integrating the GTM with Wordpress. The instructor shows how to use dataLayer, then shows how to push dynamic values and custom event in DataLayer, Conversion tracking and installing other retargeting pixel using GTM and much more. 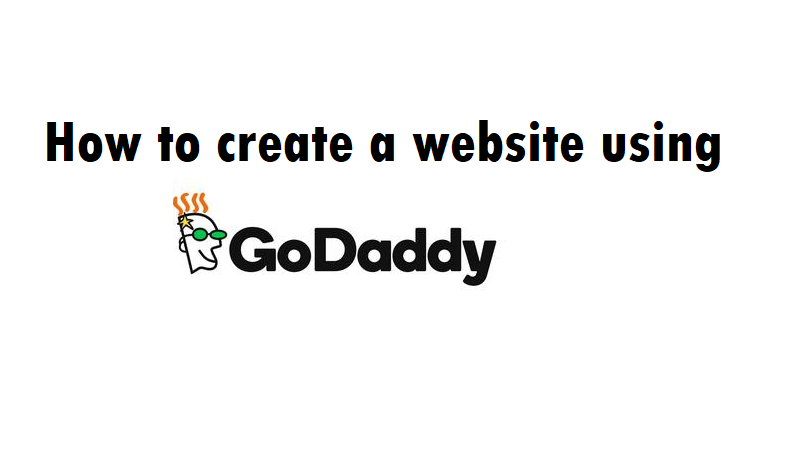 This tutorial is specifically to understand how to install the Facebook and Google Remarketing tags on the Wordpress website. In this tutorial, the instructor starts introducing with Google Tag Manager (GTM) interface, how to work with auto tracking events, then explains how to track Form Submissions, File Downloads, Link clicks, Button Clicks etc. conversion tracking, Google Analytics Tracking, Facebook Remarketing tags, etc,. If you're looking for a quick crash course then I recommend referring to this tutorial, here, the instructor provides a brief introduction to the Google Tag manager. This tutorial is best suitable for beginners. 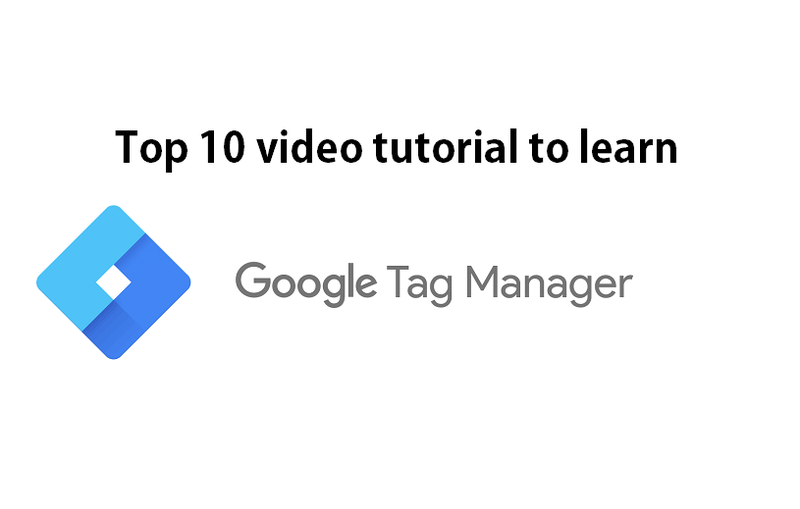 This tutorial is offered by Measureschool and this tutorial consists of over 7 lessons which will give you a brief introduction to the Tag Management tool and give you how to use Google tag manager correctly. This tutorial gives you a comprehensive overview of Google Tag Manager and the instructor explains the concepts with practical examples. The instructor starts with explains how to create a GTM account, how to create Tags, Triggers, Variables in Google Tag Manager and then explains how to integrate it with Google Analytics, Event Tracking, trigger filtering, etc,. The instructor shows how to monitor tags and debug tagging implementations. The tutorial is best suitable for beginners and developers. This tutorial is presented by Metric Mogul YouTube channel. The instructor has divided this tutorial into two parts. In the first part, the instructor covers basic fundamental concepts on Google Tag Manager such as creating an account, container, variables, triggers, and much more. In the second part, the instructor covers all the advanced concepts and it is not available for free. you need to pay for it. In this tutorial, you will learn how to create accounts, working with multiple accounts and how to create multiple containers, then the instructors show how to install a container on WordPress (CMS), how to use the Google Analytics built-in tags in GTM, what are variables and how to work with variables, Creating triggers, how to manage Control version, Debugging your tags, Using custom HTML tags, etc,. If you planning study or stay in foreign countries such as Canada, Australia, UK etc,. then you need to qualify in the IELTS exam. It is not rocket science to score high but bit difficult for the native speakers to score high in this exam. With the constant practice and tips and strategies, you can easily score high 7 and above. All you need is willpower and set your mind with the right expectations. There are many tutorials available online but below are the best tutorial which helps to improve your score in the IELTS exam. This video tutorial is a popular video tutorial on the internet and is one stop point to score band 7 in the IELTS exam. This tutorial helps to prepare for all the sections of the IELTS exam such as Speaking, Writing, Reading, Listening etc,. The video tutorial is organized into four components. In the first component, the instructor will help to learn tricks and strategies to crack the exam. In the second component, how to apply to tricks and strategies discussed in the first component and then candidates practice tackling the various question types in the third component and finally, mock tests. This video tutorial is best suitable for the beginners who are preparing for the IELTS Academic and General. This is a great place to learn and prepare for the IELTS Examination. These video tutorials contain IELTS tips, techniques and practice for your IELTS test. In this tutorial, you will learn about IELTS writing, IELTS Speaking, Listening and Reading. If you have questions, please post them under a video. The instructor of this video tutorial has a decade years of experience in the teaching and helping the students to prepare for the IELTS examination. This video tutorial is another popular video tutorial and this tutorial provides a great overview and useful resources to help in understanding the format and requirement of IELTS Exam. The instructor helps you to prepare all the essential information about the IELTS Exam and learn about the format of each part of the exam and then understand the different question types and finally discover the best exam tips. The video tutorial helps to learn ways to prepare for the exam sitting at home. This video tutorial is best suitable for the beginners who are preparing for the IELTS Academic and General. In this video tutorial, you will learn Speaking, Listening, Writing, and Reading by the popular instructor by Emma by Emma. 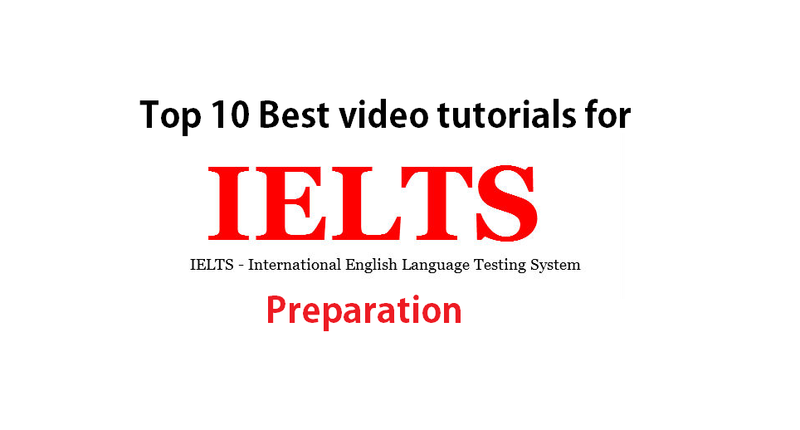 This video tutorial helps to get a higher score on your IELTS and this tutorial is best suitable for the students of all skill levels. These video tutorials boost your confidence in the writing section. This video tutorial is best suitable for students who want to crack in the writing section. This tutorial is best suitable for the students who are aspiring for the IELTS Academic however, it will also be used for the students who are preparing for the IELTS General. The content is uploaded every day and you can take advantage of these videos to crack IELTS test. If you're looking for the content created by experts then you need to check out this video series. This tutorial helps to prepare for both IELTS General and IELTS Academic. This tips and tricks provided in this video tutorial will take you in the right direction and helps in maximizing your IELTS band scores. This Youtube channel dedicatedly offers useful videos to help with IELTS, TOEFL, and English for university studies. You can find the video on all the sections such as IELTS writing, IELTS Speaking, Listening and Reading. This tutorial series will specifically help to prepare for the IELTS writing section but trust me, these are very useful. This tutorial will teach how to write the passages in task1 and task 2. This tutorial is best suitable for beginners. This tutorial helps to improve vocabulary which directly to improve your writing, reading and listening skills to score high IELTS Band Score. In this tutorial, you will learn new keywords, how to pronounce each word, use them in the different sentences and finally helps to develop a deep knowledge of each word. Trailhead is one stop of place where you can find the training videos for almost all the categories in Salesforce. Salesforce trailhead offers a learning path for the students in the category in which they want to become masters. The tutorials are divided based on the roles and proficiency. Roles include Admin, Business user, and developer. Proficiency is divided into three parts Beginner, Intermediate and advanced levels. This video tutorial is a popular tutorial to learn salesforce Administration and to get prepared for the Salesforce Certification exam. This tutorial is up to date and the instructor will be updating the contents. This video tutorial is a really good tutorial that covers each topic in depth and the practice exam was extremely helpful. In this tutorial, the instructor covers all the required concepts to master in Salesforce. The instructor starts with a brief introduction to Salesforce and how to organization setup, user setup, how to provide security and access, how to create standard and custom objects, how to create sales and marketing apps, service and support applications, Activity Management and Collaboration (Chatter). Also, how to create desktop and mobile administrations, how to work with AppExchange, and how to automate the workflow etc,. This tutorial helps your shift from a complete novice in Salesforce to Salesforce professional and passing the administrator exam. This tutorial is best suitable who interested in learning the Salesforce and no prior experience is required. This video tutorial is a great tutorial that helps you to understand all required concepts for the Salesforce Admin certification exam. 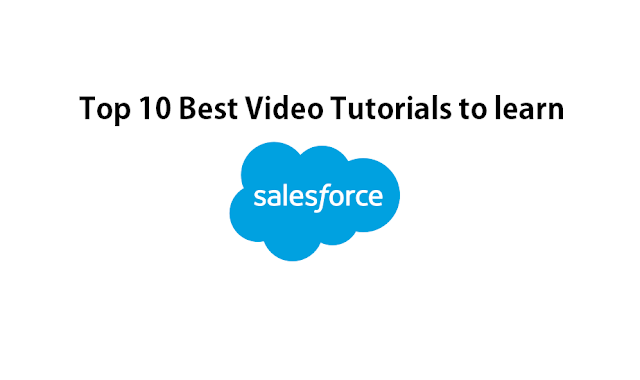 You don't need any programming knowledge and prior Salesforce experience is required in order to go through this video tutorial. The instructor walks you through the Salesforce introduction, Organizational & User Setup, how to automate the process, Salesforce Security, Reports & Dashboards, Data Management, Sales & Marketing, Service Cloud, Activity Management, Mobile & Desktop Integration, etc,. If you looking for a video tutorial where you want to practice test and clear Salesforce administration Certification exam with feedback then this tutorial is best suitable for you. In this tutorial, the instructor shares all the tips and tricks for the passing the Certification exam in the first attempt. Linkedin by Lynda provides many video tutorials on Salesforce and they are tutorials on each topic such as Salesforce Administration, Salesforce Lightning, Salesforce working with apps and development etc,. I recommend starting with Learning Salesforce Admin and then next move on to other Salesforce topics. It is worth to go through the Salesforce video tutorials. This tutorial helps you to master in Salesforce Administrator and a Salesforce Platform App builder. The instructor will teach you how to configure Salesforce, so you are able to collect, analyze and retrieve all of the vital information associated with your customer base. Apart from that, the instructor will walk you through the Force.com fundamentals to understand Salesforce online application development and the deployment of next-generation cloud apps. This tutorial is presented by Tutorials Point (India) Pvt. Ltd YouTube channel and this tutorial is really helpful to learn and get familiar with Salesforce. The instructor covers organization set up, MVC architecture, Salesforce Apps, Console Apps, Objects, Fields, Types of Relations, email templates, Reports, governer limits and many more. This tutorial is presented by MyTutorialRack Youtube Channel and in this tutorial, the instructor walks you through the required concepts and walks you through how to create your free salesforce Developer Account, how to create a custom app in salesforce, how to create custom objects in salesforce? How to add custom fields in Salesforce? How to create Picklist in salesforce? Different types of relationship in salesforce, Profiles, and permission set in salesforce, personal setup, company setup and reports in Salesforce, Tab Settings Default On, Default off and Tab Hidden, Standard and Custom Profiles in Salesforce etc,. This tutorial is presented by ZaranTech and by the end of this video tutorial, you will gain domain knowledge in Salesforce Administrator, Salesforce Development and Force.com. You will get familiar with how to Design Data Model for cloud-based applications and architecture. Along with you will learn how to automate Sales and Service processes using Workflows, Approval Processes, and Formulas. Also, you will learn to get the hands-on experience of end-to-end application designing on Force.com platform. Furthermore, you will learn about the best practices of Force.com app designing, app customization, debugging, data validation and security etc,. If you're creating an image using Adobe Photoshop, then you might have faced problems with image quality when zooming in. If you're looking for a vector tool to design a graphic image without losing the picture quality while zooming in then Adobe Illustrator is the best option for you. Adobe Illustrator is an excellent tool that is used for creating the amazing vector graphic images such as charts, cartoons, logos, flyers, brochures, Infographics and many more. The best thing about the Illustrator is, it is not resolution dependent, meaning using this tool you get a better print output and also, vector files are very small in file size and scalable to any format. 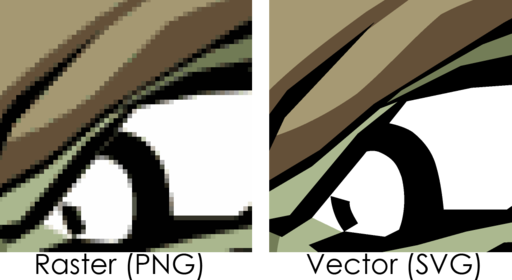 Vector images retain the quality of the images without being distorted/pixeled when zoom-in the images. Look at the below images, the left-side image is pixelated and quality of the images is not restored perfectly when you're zoom in. At the same time, the right side image retains quality even after the images many times. Alternatives of the Adobe Illustrator are Affinity Designer, Sketchapp, Gravit, Inskscape etc,. 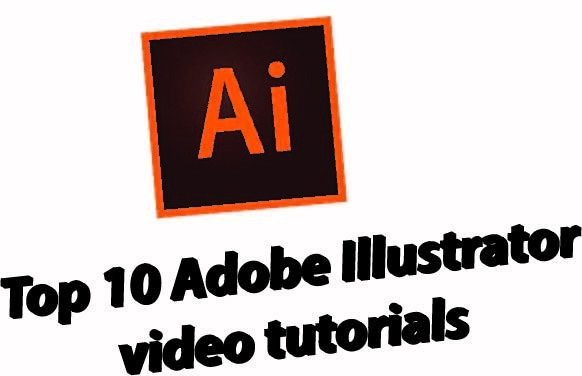 Adobe Illustrator is a great place to get started and has lots of useful resources to learn. Apart from the official website, there are many excellent resources which are available on the internet. Below are top 10 Best video tutorials to learn Illustrator. In this tutorial, you will learn about how to start by understanding the Adobe Illustrator workspace and tools, then instructor dives into creating your own shapes & lines, how to use the pen & curvature tool to improve your designs, how to create advancements to your graphics with strokes, pencils & brushes, how to speed up your workflow with the shape builder tool, how to align and distribute objects to create amazing backgrounds and textures, how to add and stylize text to your projects, how to create beautiful graphics with masks and compound shapes, how to get creative with effects and advanced techniques, Understanding color and how to use it like a pro, then learn how to save & export your projects for any kind of project. This tutorial includes plenty of exercises and real-life applications. Once you have completed this, I recommend going through the Adobe Illustrator CC 2018 – Advanced Training. This is a great tutorial to get started with Adobe Illustrator. The tutorial is well organized and structured in such a way that it is easy to learn and follow the videos. The instructor begins by explaining with basic features to more complex features. This tutorial is very useful insights and provides useful tips and tricks with simple examples to enhance your Illustrator skills. The instructor explains about the user interface that covers different tools, color management, shapes, fills, and strokes, anchors, paths, vector shapes, layers, masks, images and then moving raster to vectors etc,. Though the tutorial is a bit outdated the concepts are still the same and it is worth going through this tutorial without a miss. This video tutorial is one of the most recommended tutorials on YouTube. This tutorial is presented by TastyTuts. In this tutorial, the instructor explains how to work with Illustrator and also explains the essential features of Illustrator and gives the students few practice exercises. This tutorial is divided into three sections. introduction where the instructor introduces to the tools used in Illustrator and in the second section, you will be practicing and finally, walks you through a test project. This is a great tutorial that teaches you all the core concepts and techniques which can be applied to any workflow: for print, for the web, or for assets that will find their way into other applications. In this tutorial, the instructor starts with explaining What is Illustrator? how to navigate documents, how to save a custom workspace, how to work with multiple artboards, how to create and delete layers, how to Draw shapes, how to transform objects, how to adding fills and strokes, how to work with color, how to creating complex shapes, such as compound shapes, how to work with type, how to add the content to CC Libraries, how to print and export artwork. I highly recommend going through this tutorial. This tutorial is presented by Eduonix and here in this tutorial, you will learn how to create amazing graphics for Web, Video, and Film. The instructor starts with basic Illustrator techniques and will progress on to topics such as Pen Tool, Transforming, Gradient, Types & Panels, Design, Perspective, and Automation. The best thing about this tutorial, it is free. This tutorial gives a comprehensive overview of Adobe illustrator with in-depth explanations and covers all the basics of Illustrator. You will learn how to create logos, infographics, vector art and more illustrations including formatting and stylizing type, creating custom shapes, applying effects and styles, drawing with the brush and pen tools, tracing over photos, creating basic logos, creating patterns, blends, and more. Also, you will learn how to print, save, and export in Illustrator. Apart from this, the instructor provides assignments. This tutorial is best suitable for the complete beginners. If you're looking to enhance your skills in logo designing to create high-quality logos by applying effective design principles then this tutorial is best suitable for you. The tutorial gives you the deep understanding of what logo designing is and learn about designing techniques in a very detailed way. The tutorials help you build a beautiful, creative and relevant logos and help you start your freelance jobs and the instructor introduces contracts and interviews with the clients. This tutorial serves as a refresher training and best suitable for the beginners. 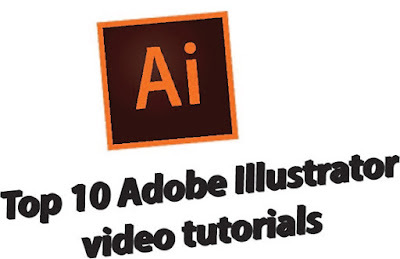 This tutorial is a popular video tutorial that gives a complete overview of Adobe Illustrator. The instructor starts with explaining the basic concepts such as Artboards, Navigation, User interface, Vectors and working with objects such as shapes, Transformations, Organising, Aligning and Distributing Objects and then the instructor explains about Drawing Tools, Brushes, advanced concepts in the Illustrators. The instructor helps you to learn how to create a logo and how to create vector illustrations, Designing infographics. This video tutorial also includes assignments and exercises which helps to improve your confidence levels. This tutorial is a great place to learn Adobe Illustrator to get started with the Adobe Illustrator for beginners and refresher training for the experienced designers. This tutorial gives you a quick introduction to the Adobe Illustrator. In this tutorial, the instructor starts with explaining with basic concepts and then moves on to the intermediate concepts in Illustrator. This tutorial will be really useful and helpful for learning the basics in a very short, direct and easy way. Selenium is an open source tool that is used to automate web browser testing and it supports multiple languages such as PHP, Java, Python, C#, Ruby, Scala and many more. It also supports multiple browsers for testing. 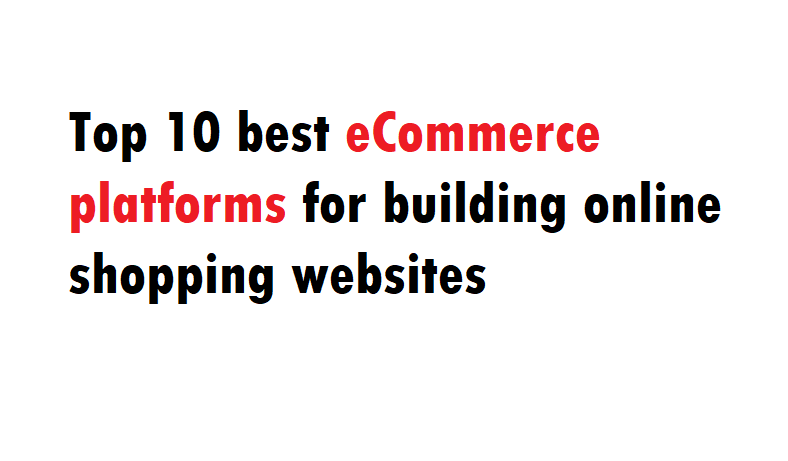 It is mainly used for functional testing and regression testing, load testing on web applications across different browsers and platforms. Since Selenium is available for free it is widely used it can support the many extensible plugins and has large community support. Large community support where they will help each other when they run into issues. What are alternatives of the Selenium? Selenium Webdriver is the next version to Selenium RC(Remote Control). Selenium WebDriver is a tool for automating web application testing. With the help of Selenium, we can test only web applications and we cannot perform tests on the desktop and mobile applications. Prerequisites: You don't need to have prior experience of any programming languages such as PHP, Java, C#, Ruby etc. but having knowledge of any programming is added advantage for you. To gain more knowledge of Selenium testing, there are many resources to learn about Selenium but below are best tutorials that help to learn and master in Selenium. in Firefox, Chrome, IE End to End, Webdriver API methods, Live Examples in Automating Web applications in all supported Browsers, Strategy to handle Rich Web UI using Advanced WebDriver API, Real-time challenges we face in WebDriver and solutions to handle it, Cross Browser Testing with Selenium Grid, Load Testing with Selenium, Mobile testing with selenium, Database Testing with Selenium, Framework Design such as TestNG, ANT, PageObject, Maven, Jenkins, Excel Datadriven, Cucumber, log4j. I highly recommend this video tutorial for the people who are looking to get started with automation career. This is another popular video tutorial to learn Selenium WebDriver with Java. The instructor starts explaining the video tutorial with Java basics such as data types, variables, loops, functions, packages, exception handling, OOPS etc,. Once the basics of the Java is covered, the instructor walks you the Selenium WebDriver, TestNG, Selenium grid, log4j, Maven, Jenkins, Database testing, performance testing, behavior driven testing using cucumber and gherkin language. The instructor walks through you all the concepts of Selenium. The instructor also covers interview questions so you can get prepared and crack the interview. This is a great tutorial for the beginner and people who want to learn Selenium with Java. This tutorial helps to learn Selenium WebDrvier with easy explanations. There are 85 videos published and all this video helps to acquire the knowledge and get familiar with Selenium Webdriver with Java. This video tutorial is best suitable for beginners and here in this tutorial, you will learn about the Test Automation using Selenium IDE and Selenium WebDriver. This tutorial helps to improve your skills in Selenium WebDriver. G C Reddy is one of the best instructor and popular for Selenium video tutorials on YouTube. Here, you will learn fundamentals of Selenium, he walks you through the Selenium IDE, Selenium RC, Selenium WebDriver, and Selenium Grid. The instructor walks you through the Java Concepts such as Java Environment Setup, Java Data types, Variables, Operators, conditional statements, loop statements, Methods, Java file handling, String handling, Inheritance, Abstraction, Polymorphism, and Encapsulation. Then the instructor walks you Java WebDriver: Element Locators, WebDriver API Methods, and Writing & Executing Selenium Test cases. TestNG Testing Framework: TestNG Annotations, Grouping Test Cases, Batch Testing, Data Driven Testing, Parallel Testing and Cross Browser Testing. If you're looking to learn Selenium testing with Python, then this is the best place for you. You don't need prior experience to get started with this tutorial. This tutorial is best suitable for the Manual Testers and developers looking to learn testing/test automation and anyone looking to start a new career in software testing/test automation. 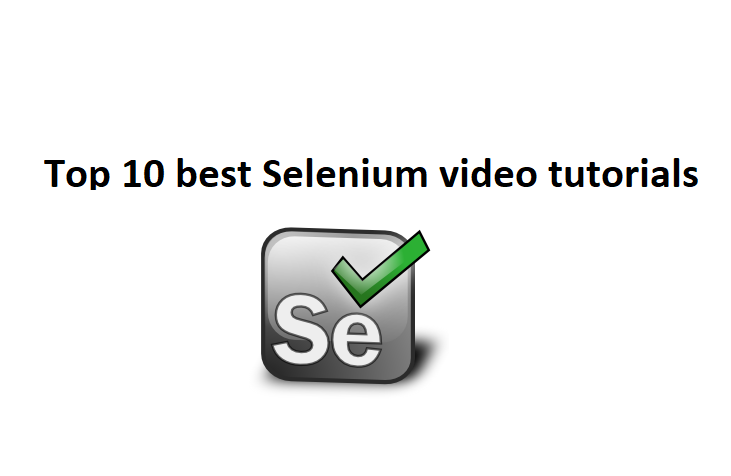 This tutorial helps to learn and master in Selenium from the scratch. The tutorial walks you through the various concepts such as TestNG, Selenium IDE, Selenium Grid, XPath and Waits, IFrames and Alerts in Selenium WebDriver, POM Frameworks and so on. This is a great place to learn Selenium. This tutorial gives you a quick introduction to Selenium and in this tutorial, he starts explaining What is Selenium, Features of Selenium, Components of Selenium, Browsers/OS/Languages that are supported, why you should learn it and many more. In the last of the couple years, the most trending buzzwords in trading are Bitcoin, Cryptocurrency, and blockchain. The popularity of the bitcoins is increasing day by day because of its decentralized nature and anonymity. Let's understand what is a bitcoin? other terms related to the bitcoins such as Cryptocurrency, and blockchain. Bitcoin is a virtual digital currency that used for sending or receiving the money across the globe without any intervention of Bank, financial institution. Before bitcoin marketplace, people used to transfer the money via bank. Though bitcoins, people can transfer money without the need of any financial institution. As of now, the only disadvantage of using bitcoins is that there is no regulatory authority and legalization around it. Blockchain is a technology that enables to transfer the bitcoins. Since the exchange of bitcoins works without any centralized authority, the transactions are made transparent which helps to prevent frauds. Blockchain records every transaction and all these transactions are transparent and no one can edit these transactions. Currency that exists digitally is called as a cryptocurrency. For example, Bitcoin is a cryptocurrency. Not Bitcoin, there are hundreds of cryptocurrencies such as Litecoin, Ethereum, Litecoin etc,. To gain more knowledge of Bitcoins, Blockchain and Cryptocurrency trading, there are many resources to learn about bitcoins but below are tutorials that helps to learn and master in Bitcoins and Cryptocurrency exchange. This tutorial is a great place to learn about the Bitcoin and Cryptocurrency. The tutorial gives you a very good deep insight into the realm of cryptocurrency and blockchain technologies. The instructor answers the following questions: What is Bitcoin and how does it work? how it is different from cryptocurrencies? How to obtain a bitcoin? How anonymous are Bitcoin users? how the price of the Bitcoin is evaluated? what is the future of the Bitcoin? what is Bitcoin Mining? how Bitcoin mining works? By the end of this video tutorial, you will have complete knowledge of Bitcoin and will able to use it your own project. This tutorial is best suitable for beginners and intermediates. This tutorial is a popular video tutorial to get started with Bitcoin and Blockchain. In this tutorial, the instructor explains a lot of valuable information and provides comprehensive insights on Blockchain technology and Bitcoin. I highly recommend this video tutorial to anyone who wants to understand what is blockchain and how it is used for Bitcoin transactions? What are smart contracts, cryptocurrency, digital tokens? How blockchain and Bitcoin are related and why it's so important to know the relation? How to get started with Bitcoin? This tutorial gives you a strong foundation of Bitcoin and Blockchain. This tutorial is best suitable for the beginners and serves as a refresher training for the people who already familiar with Bitcoin and Blockchain. If you're looking for Bitcoin trading then this video tutorial is best suitable for you. This video tutorial focuses on buying and selling of Bitcoin and Altcoins on the Cryptocurrency Exchange. In this tutorial, the instructor walks you through the cryptocurrency investment and shows how to buy a bitcoin using Coinbase and how to send it over to an exchange, both Poloniex and Bittrex. The instructor also discusses 4 main strategies for the investing coins and two main strategies for long and short-term success. In order to get started with Bitcoin trading, you need to have a bank account to start investing right away. KhanAcademy YouTube channel provides online video tutorials on various subjects such as Arithmetic, Calculus, Chemistry, Physics, History, Art, Medicine, Economics, and Finance tutorials. As a part of providing education on various subjects, here they have included what Bitcoin is and how it works and many more. If you're absolute beginner this a great place to get knowledge of Bitcoin. This tutorial gives your brief introduction to Bitcoins and Cryptocurrency. The instructor explains the concepts clearly and easy to understand style. By the end of this video tutorial, you will be able to explain what bitcoin is and how and why to use them. This video tutorial is designed and taught at Princeton. 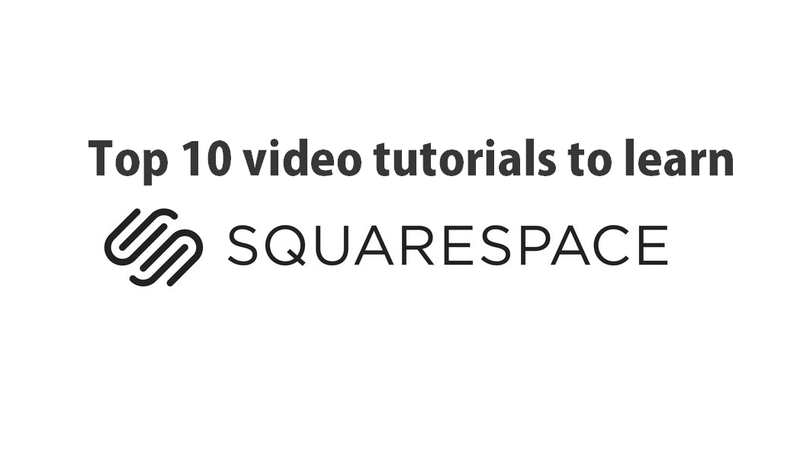 This video tutorial is presented by a group of instructors. In this YouTube channel, you will find a series of 11 lectures and programming assignments, materials, a textbook. Here in this tutorial, the instructor starts with explaining the basics of Cryptocurrency and what is bitcoin decentralization? how to store and use bitcoins? what is bitcoin mining? what are policies, regularities, altcoins and cryptocurrency ecosystem and future of bitcoin? CRI is a YouTube channel that provides a lot of information about the Bitcoin and Cryptocurrency. 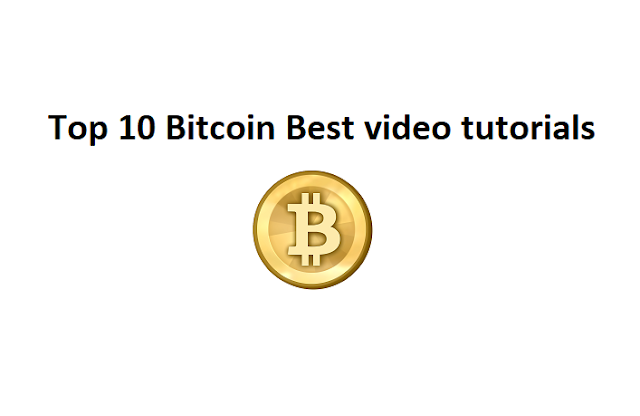 The video tutorial serves as a beginner's guide to all things bitcoin. There are around 30 videos which give knowledge about Bitcoin. This video tutorial is a popular video tutorial to learn about the Cryptocurrency investment. By the end of this tutorial, you will able to learn and understand how to buy, sell and invest in Bitcoin, Ethereum, Litecoin & other Cryptocurrency. The instructor explains the Cryptocurrency investment opportunities and platforms currently available such as Coinsquare. You will learn and understand the basics of cryptocurrency trading graphs and learn fundamentals of the blockchain. Also, the instructor explains two main strategies for Cryptocurrency investment. This tutorial gives you a really great introduction to Cryptocurrency and helps you to learn everything you need to be able to understand the complicated and interesting marketplace. The instructor provides a ton of useful resources to learn about the trends in the market. This video tutorial is best suitable for anyone who wants to know how to invest in cryptocurrency. I highly recommend this tutorial without a miss.